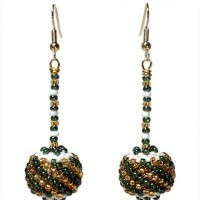 This is a gallery of my finished beadwork in Green / Gold. 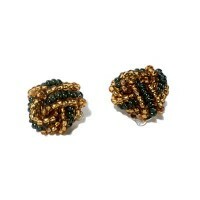 Click an image to enlarge and view details or from alternate angles. 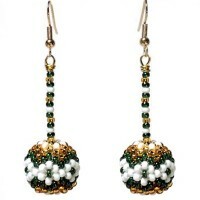 Green / Gold Dangling Ball Earrings 01.